Our flagship education program returns to Sydney from 7-12 July, 2019. ACO Academy is an essential experience for any talented young musician who wants to be challenged and inspired in a professional learning environment. Top level secondary students who play violin, viola, cello or double bass are invited to spend an inspiring week rehearsing and performing with ACO mentors. 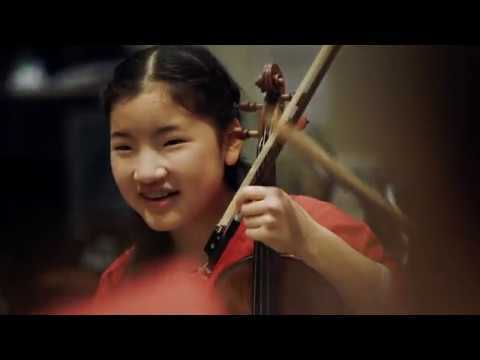 ACO Academy builds skills in technical accuracy, ensemble playing and performance technique, culminating in a public performance as a chamber orchestra, playing alongside ACO musicians led by ACO Violinist, Aiko Goto. Participating students from around Australia are hand-picked by ACO Musicians via a YouTube audition process. ACO violinist Aiko Goto has been directing ACO Academy since its inception in 2012. Her energy and enthusiasm is unparalleled, and together with her colleagues from the Orchestra and young musicians from the ACO’s Emerging Artists’ Program, they create a supportive learning environment that helps students to reach their full potential. Playing with this orchestra was an incredibly enriching experience and an honour.